Zondo pushes for an even earlier start of 09:00, but gives Pretorius the option of the 09:30 start, with proceedings then running later than usual. Pretorius tells Zondo he prefers the latter. Zondo adjourns. Proceedings will pick up again on Thursday morning at 09:30. Zondo proposes that proceedings should then start earlier on Thursday and Friday morning, in an effort to make up for lost time. Pretorius suggests 09:30 as a starting time, and says McBride's opening statement should take between 1-2 hours, but he will endeavour at aiming to keep it to one hour. Zondo grants the postponement of McBride's testimony until Thursday, and the postponement of Booysen's testimony until Monday. As a result, Zondo says in a sombre tone, there will be no hearing of any evidence until Thursday morning. "That's not acceptable," Zondo tells Pretorius, while referring to the previous postponement of McBride's evidence in February, for this same reason. Pretorius tells Zondo there are also "logistical challenges, which we needn't deal with in public..."
Pretorius: "...provided an implicated party has ample time, at least two weeks, and in this case it will be more, to consider his or her position, brief counsel, or seek assistance from the commission itself to prepare an application for cross-examination or to lead evidence, either personally or through other people, any prejudice involved can be avoided." Pretorius says on the basis of this application, as it relates to McBride's testimony, any serious prejudice can be avoided. By the same token, the testimony of former KZN Hawks boss Johan Booysen, meant to follow McBride, would also be postponed. Pretorius earlier mentioned the "failure" of the commission's legal team to duly notify implicated parties, with regard to McBride's testimony. Pretorius says the postponement of McBride's testimony is to allow implicated parties to be notified, as per the rules of the commission. Pretorius now cites the various rules pertaining to this decision. Pretorius addresses Zondo on a point of postponing the testimony of Robert McBride until Thursday. Adv Pretorius hand over copy of application for postponement of the evidence of Mr Robert McBride. Deputy Chief Justice Raymond Zondo takes his seat and greets everyone. He is now addressed by Advocate Paul Pretorius, head of the commission's legal team. Claims of attempts to capture the SA Police Service, the Hawks and the National Prosecuting Authority (NPA) are expected to take centre stage on Thursday when former IPID boss Robert McBride testifies before the state capture commission of inquiry. McBride, former Hawks head Anwa Dramat and former Gauteng Hawks boss Shadrack Sibiya separately held meetings with the commission's investigators previously. Independent Police Investigative Directorate (IPID) head Robert McBride believes that Police Minister Bheki Cele's decision to not extend his term for another five years is political and that putting an acting head in his place will be bad for ongoing investigations into powerful people. "The citizens of our country are rightly alarmed and concerned about the level of corruption that is plaguing our country," said McBride in his motivation to Parliament's Portfolio Committee on Police for why his term should be extended for another five years. "This concern will be exacerbated should this committee take an unjustified decision on the renewal of my appointment – particularly if the committee places reliance on submissions from the minister that are based on refuted or withdrawn allegations, and that are informed by political motive." Rajesh "Tony" Gupta allegedly told former Free State MEC Mxolisi Dukwana that he was a trustworthy man who would drive to the house of ANC secretary general Ace Magashule and Duduzane Zuma, the son of the former president, to deliver a million rand in cash every month. Dukwana was testifying at the Zondo commission of inquiry into state capture on Friday. 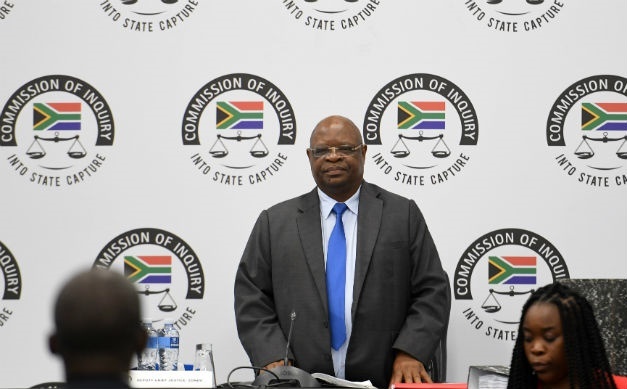 He told inquiry chairperson, Deputy Chief Justice Raymond Zondo that Magashule introduced him to the controversial Gupta family, who are accused of using their relationship with former president Jacob Zuma to loot the state around 2012. ANC secretary general Ace Magashule will not appear before the party's integrity committee unless its national executive committee (NEC) decides he should do so. This is according to integrity committee chairperson George Mashamba, who told News24 that the committee had no powers to summon him in order to assess the impact that claims made against him had on the governing party. His comments follow a decision by the NEC to refer its entire list of candidates nominated to serve in the National Assembly and in provincial legislatures to the integrity committee.